'The Champion of champions' Vanity Fair portrait of Walter Goodall George. 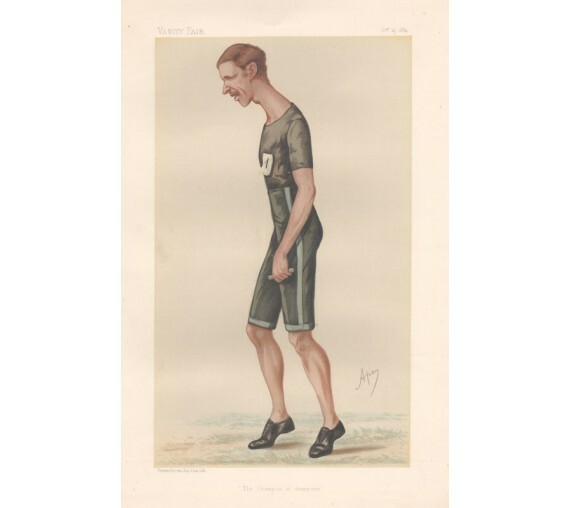 Walter Goodall George (1858 _ 1943) was a nineteenth-century British runner from Calne who after setting numerous world records as an amateur, went professional in part to challenge the mile record-holder William Cummings, defeating him in several highly publicized races. 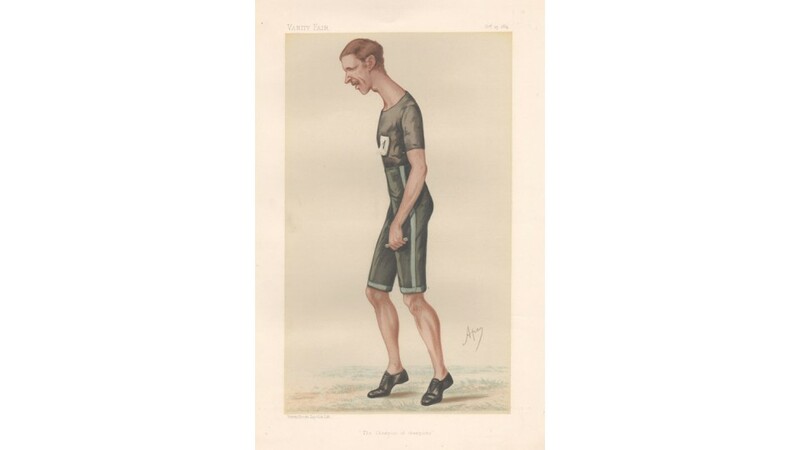 In one of those races on 23 August 1886, he set a mile record which was not surpassed for almost 30 years. Faint mark on the right of the image.